Scientists have discovered the surprise ape fossils in an excavation in Haritalyangar in Shiwalik hills region in Himachal Pradesh. Scientists have discovered the surprising ape fossils in an excavation in Haritalyangar in Shiwalik hills region in Himachal Pradesh. 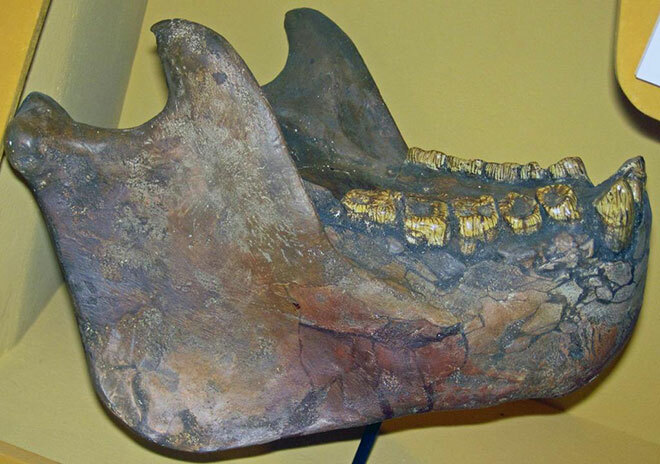 The ape fossils are nine million year old and are in the form of lower molar germs or permanent teeth that are un-erupted and still forming in lower jaw. The crowns of both the molars are fully formed, but there is no root formation. This indicates that they belonged to infants of slightly different ages at the time of their deaths. One specimen is a partial right first molar and other a complete left second molar. The apes seemed to be slightly larger (about 15 kg heavier) than the modern-day Siamang Gibbons, that are found in the Himalaya and South-East Asia.